Wow! 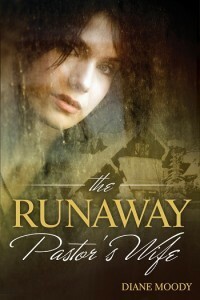 I finished reading Diane Moody's book titled, The Runaway Pastor's Wife, and had planned to write this review after having a good night's rest; it wasn't possible. Forgiving myself - since I've been resting most all day - I decided to plunge ahead and share my thoughts with you about this superbly crafted story. The most apparent theme weaving its way throughout The Runaway Pastor's Wife can be summed up in three words: God answers prayer! If I had to use a Bible verse to summarize the story, it would definitely go along the lines of God working all things together - for good - for those who love Him and are called according to His purpose. I've never been a pastor's wife. However, I do know the enormous amount of pressure a pastor's wife deals with, especially when she has small children requiring her attention. Magnify the situation by placing the pastor and his family in a church with a larger congregation and the situation can easily become overwhelming, especially when there is jealousy among the ranks, as was the case in this book. In life, it's imperative for us to have moments to ourselves in which we can think; sometimes those moments come each day whereas, in Annie's case, they rarely seemed to occur at all. In her case, even more than the solitude, she craved her husband's attention and affection. She rightly wondered where the husband she married had gone. He had become so wrapped up in his service to others that he failed to see what was going on in his own home. It's the story of many of our hectic lives because, in our quest to tend to daily activities and obligations, family seems to get the least amount of our attention. Shifting focus back to the book, I wondered what happened to college sweethearts, Annie and Michael, when I learned she married David. Even so, as the story was to unfold, I grew to treasure the love which dwelt inside the marriage between Annie and David. It seemed they were a super couple until the pressures of daily life - and one incident in particular - caught up with Annie and she just had to get away - which turned out to be a Heavenly appointment with her Father. I've known in my own life how God can take devastating circumstances and work them into good - granting miracles along the way. This story was no different. In fact, the miracles which continued to unfold toward the end of this story satisfied my soul in a way few fiction books have in a long time. It served as a reminder that, no matter what has happened in the past, God is still willing to embrace us and forgive us of any wrong-doing, as unworthy as we may be and feel. To be honest, I'm hoping Diane Moody is working on a follow-up book. However, she may just decide to let each reader draw their own conclusions. Whatever the case, the characters were extremely rich and the story was superbly written. Yes, without a doubt, God answers prayer in reality just as prayers were answered in this story. If there is one book you need to read before too much time has passed, it's The Runaway Pastor's Wife. The title captured my attention and it's a story I will never forget. One more thing: I had the privilege of hosting an author interview with Diane Moody. If you would like to read about it, please click here.